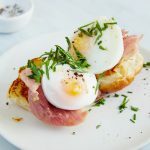 Let’s be honest, Memorial Day barbecues are awesome – but, what about giving a Memorial Day brunch a try!? 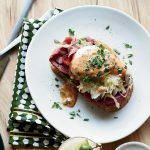 Here are some creative interpretations of classic brunch dishes to try. 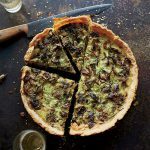 If a recipe can be done in advance, we’re in! 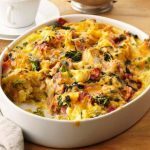 Feel free to add whatever veggies you have on hand, but we recommend keeping the bacon. I mean, bacon and eggs – is there really a better combination? 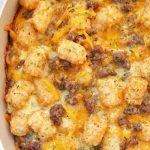 This Tater Tot Sausage Breakfast Casserole is crazy good! Tater tots, sausage and cheese – you can’t go wrong with that combination.